BEIJING - The "Report on the Work of the Government" and the 13th Five-Year Plan for the country's economic and social development were released in full via Xinhua News Agency on Thursday. 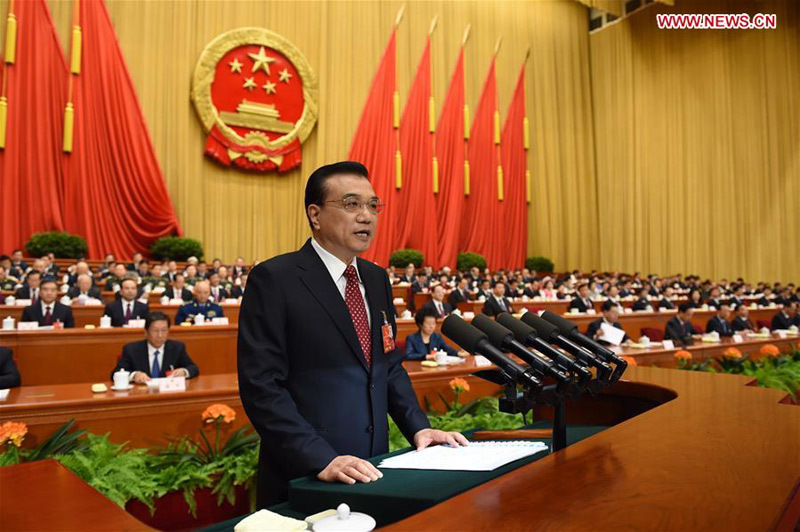 Delivered by Premier Li Keqiang at the Fourth Session of the 12th National People's Congress on March 5, 2016, and adopted on March 16, the government work report raises a series of key goals for 2016, including the official economic growth target of 6.5 to 7 percent, at least 10 million new urban jobs, and a registered urban unemployment rate within 4.5 percent. The five-year plan outlines the policy framework, priorities and economic and social development goals for 2016-2020, including an innovation-driven development strategy and an average annual growth rate of above 6.5 percent. The English-language full text of the government work report will be released later on Thursday.